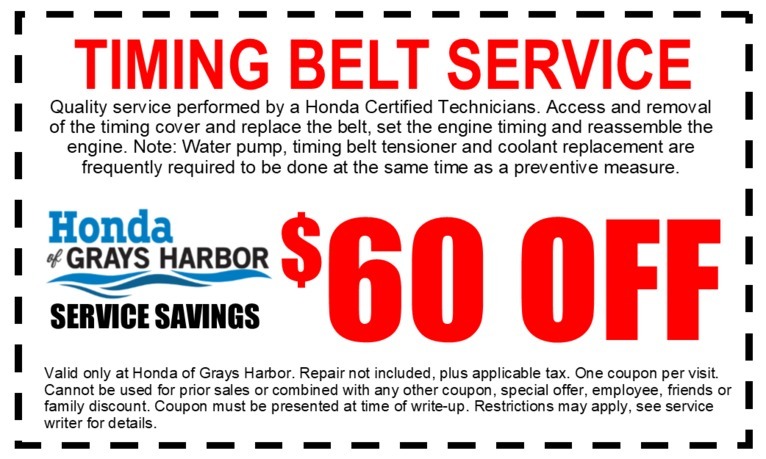 Here at Honda of Grays Harbor, we are dedicated to saving you money on Honda service. That's why we strive to offer service specials at our Honda dealership near Olympia, WA. 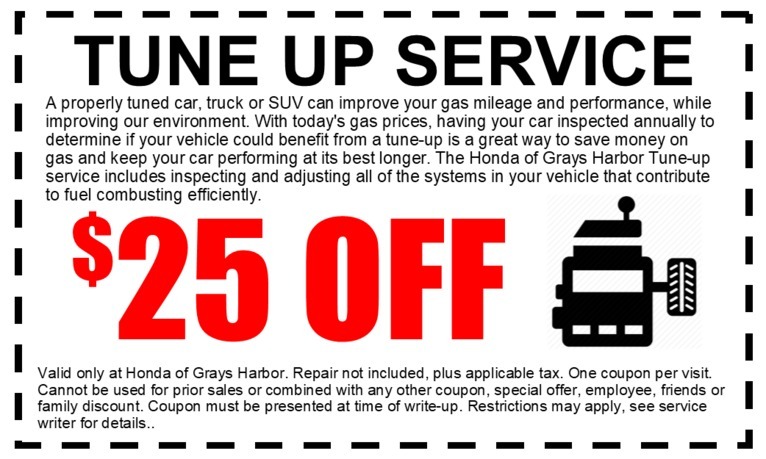 If you're in need of service, simply print out the below coupon and save on your next trip to Honda of Grays Harbor. Have any additional questions? 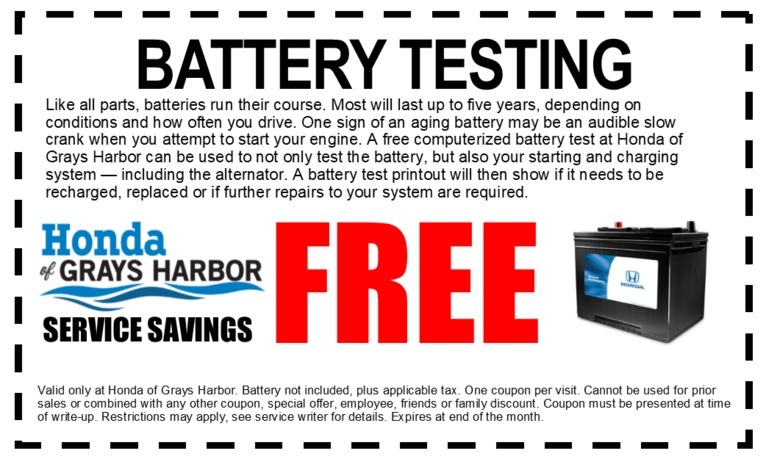 Feel free to contact Honda of Grays Harbor online or come speak to our Grays Harbor, WA Honda dealer, and we'll be happy to answer any questions you may have.